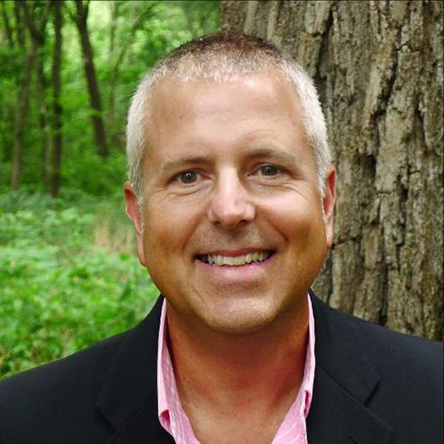 The Door County Land Trust is pleased to announce Tom Clay as its new Executive Director. He will officially join the Land Trust in mid-September. Tom will replace Dan Burke, who left the Land Trust last February. Tom, 55, comes to the Door County Land Trust after ten years as the Executive Director of the Illinois Audubon Society (IAS), which acquires and owns wildlife sanctuaries statewide. During his tenure there, IAS nearly tripled its net assets from $4 million to over $11 million, it raised $750,000 in private donations to build the society’s first permanent state headquarters and it secured acquisition and stewardship grants of nearly $3.5 million. The Society has 2300 members throughout the state. “Tom has the passion, authenticity, charisma, and experience that we looked for in our new Executive Director,” added Tim Stone, past president of the Land Trust’s board of directors. Tom is also a founding board member and an officer of the Illinois Prairie State Conservation Coalition and a leader of Grand Victoria Foundation’s Vital Lands Illinois project, a collaboration of land conservation leaders across the state. Prior to leading IAS, Tom worked for the Illinois DNR to develop its Division of Education and did the same for the Forest Preserve District of DuPage County, Illinois where he was responsible for a staff of 57 and an annual budget of $3.4 million. Tom looks forward to meeting and working with Door County Land Trust’s members and donors. “I find the prospect of building upon Door County Land Trust’s already impressive legacy of land protection very exciting.” Tom will lead the staff of nine, and work with the 19-member board of directors and other volunteers. He’ll be responsible for relationships with other community organizations and conservation partners, and represent the Land Trust in the community. Tom grew up in the far northwest corner of Illinois, Jo Daviess County, part of the Driftless area. He has visited Wisconsin and Door County for years. He and his wife, Lisa, a contracts administrator for the Illinois State Library, are very excited about living and working here. They will move from Springfield, IL where they have raised their son and daughter. The Door County Land Trust’s mission is “To protect Door County’s exceptional lands and waters…forever.” It is a nonprofit, community-based organization that actively works to conserve land by undertaking or assisting with direct land transactions-primarily the purchase or acceptance of donations of land or conservation easements. Founded in 1986, the Door County Land Trust has protected more than 7,000 acres from Washington Island through southern Door County and many points in between. Door County Land Trust nature preserves are open year-round to the public at no charge for hiking, cross-country skiing, wildlife observation, some forms of hunting, and other low-impact, non-motorized recreational activities. For more information and to become a Land Trust member, please visit: www.doorcountylandtrust.org or call (920) 746-1359.